HIFU Face and Neck Lift specifically targets the skin and its deep foundational layer of tissue that would usually be addressed in surgery, but without cutting or disrupting the surface of the skin, bypassing the epidermis during treatment. 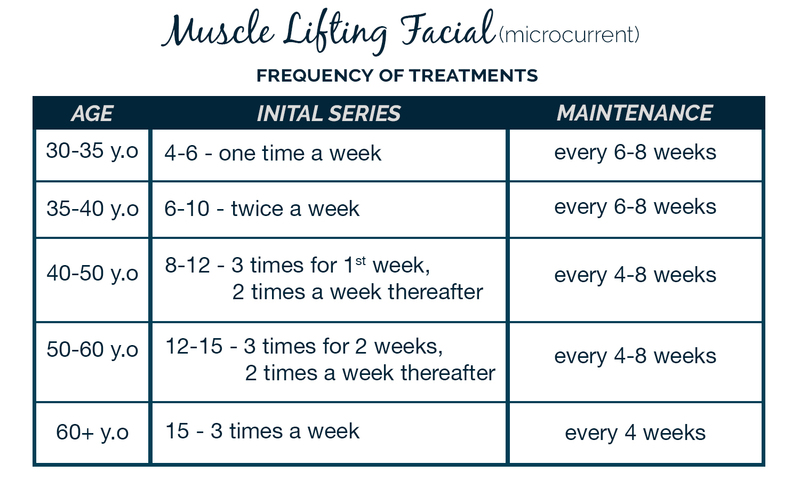 HIFU (High Intensity Focused Ultrasound) otherwise known as Ultherapy is a non-invasive & non-surgical cosmetic skin tightening treatment that uses ultrasound to lift and tighten collagen and elasticity of the skin, for both men and women. With the HIFU Face and Neck Lift treatment what we are doing is heating small targeted amounts of soft tissue below the surface of the skin to a level where the tissue will contract, and the body will create new collagen. To achieve a significant lifting and tightening effect, the right amount of heat is delivered to the right depths of tissue and this fantastic treatment can accomplish both without any injury to the surface of the skin. 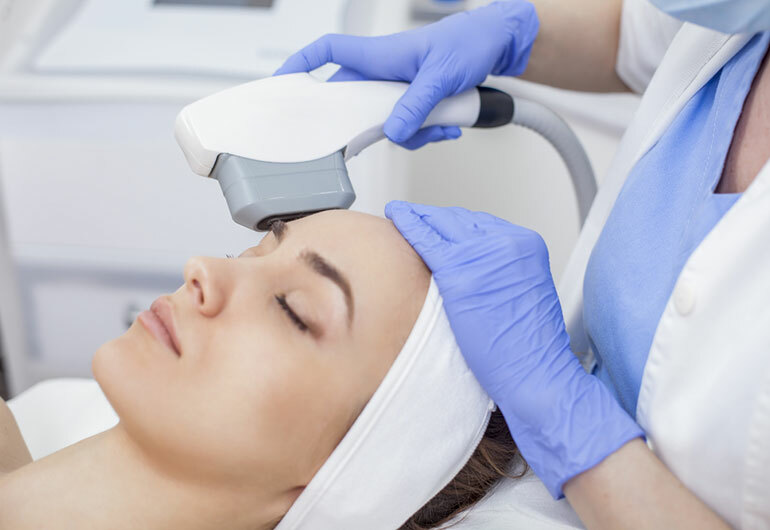 What you feel during the HIFU Face and Neck lift treatment is tiny amounts of concentrated ultrasound heat, giving a warm sensation that is being deposited below the surface of the skin, which many people describe as a tingling feeling. The ultrasound heat can be intense at times and is a positive signal that the collagen and building process has been initiated. The degree and nature of any discomfort will vary from person to person and from area to area on the face and or neck, with bony areas such as jawline being more sensitive than others. There can be some temporarily, small areas of the numbing or sensitivity to touch after the procedure. Before and after the treatment, we ensure that you are comfortable always. Some clients will see an initial effect right after their treatment, generally a refreshed glowing look, but the actual results appear over the following 2 to 3 months as new collagen works to lift and tighten skin on the neck, chin and brow. Results can be seen up to 9 months following the treatment and depends on the variety of various factors including age, health, lifestyle and diet, and how much pre-existing collagen there is to build on when having a procedure for the first time. While a HIFU Face and Neck lift treatment won’t duplicate the results of a facelift, it is a clinically proven non-invasive alternative for those not ready for surgery and may even be an option for clients who wish to extend the effects of previous cosmetic surgery they have already had. Where this treatment really excels is that there is also no downtime, so you can go back to work the same day. The only FDA cleared non-surgical, non-invasive treatments that are proven to be safe and effective in clinical studies and have had over 450,000 treatments worldwide. The results are like that of a surgical face lift (but without the surgery in our case) and is the best alternative to invasive surgery or injections. The treatment stimulates the deep structural support layers of the skin, whereby a natural, regenerative response is initiated, stimulating the growth of new collagen, which goes on to lift and tighten the skin over the next 9 months. You can return to your normal activities immediately after your procedure without any post treatment restrictions or requirements. However, you should avoid exposing your skin to extreme temperatures of heat or cold and protect your skin with a good quality moisturizer and SPF. It is also important that you up your water intake and stay hydrated after your treatment, also avoid caffeine and alcohol for 48 hours afterwards, even longer if possible for optimal results. Your normal regime can be followed immediately but avoid using skin products that may cause irritation for 24 hours afterwards. Your skin may appear flushed at first, but the redness should disappear within a few hours and in 1-2 days. Some clients may experience tingling or tenderness to the touch, but these are mild and temporary in nature over the next few days to a week. Other, less common post-procedural effects, may be temporary bruising, or numbness on small areas of skin. If any of the symptoms persist, please contact the clinic immediately. It is normal for the area to feel tender immediately after the procedure. We recommend no sun exposure for 24 to 48 hours after the treatment. No strenuous exercise for 24 to 48 hours. The treated area maybe flushed, reddened and feel tingly. Apply a gentle cream gel every 4 to 6 hours for up to 72 hours’ post treatment. Skin feels tighter with a mild sensitivity to touch; however, this will last up to 48 hours. After three days, your skin will feel back to normal. Results visible 6 to 8 weeks and improve further over time. Collagen induction process continues to work for another six months after the treatment.